A Second Gen B-Class in my town? 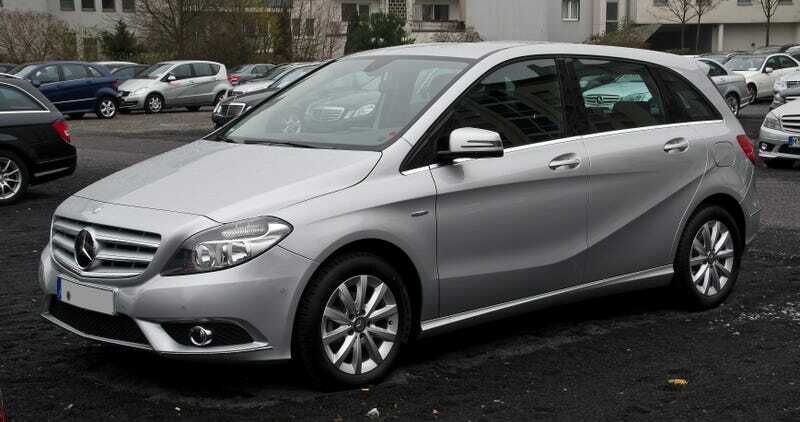 So for the past couple of days I've been seeing a 2011 or 2012 (2nd gen) Mercedes B-Class roaming around the college town I'm in, being driven by an old guy. From the few times I've seen him, he's had New York plates, which really isn't that uncommon, but I would think that the car is. Is this something to be ignored, or do I need to grab a picture next time I see him?